horrible, dirty, blackouts during the night, uncomfortable, hot and humid. will never stay again. Very lousy keeping of sites makes it humid, dirty and moldy. Quality of food really poor. It's cheap yet the value is so low that makes it unworthy. Only one pro: people there in general speak poor English yet they are really very nice and kind. It was better than expected, considering that it was pretty much in a rural area. The hotel was easy to find as it was along the main road. There's a building next to it that has a spa & karaoke. Very spacious lobby with many comfortable sofas to meet family & friends, or even for meetings. If you are visiting the Majapahit temples and tombs at Trowulan for more than one day, there are very few places in the neighborhood to spend the night. 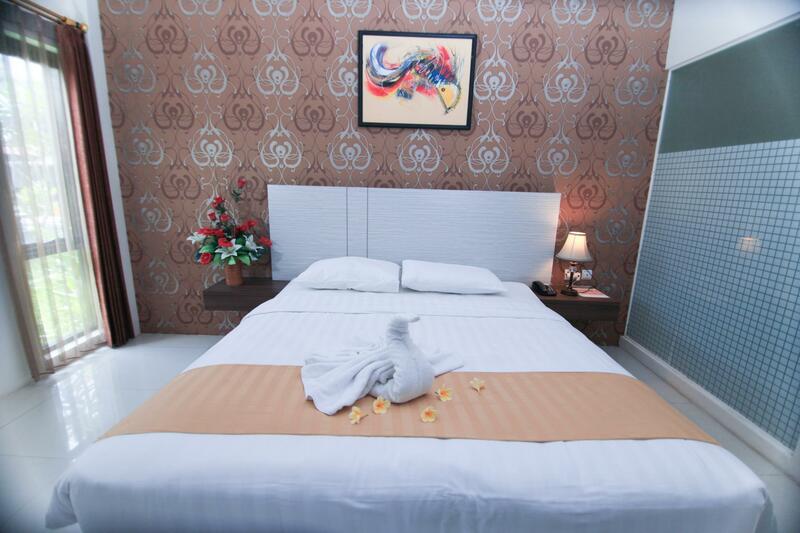 The Trowulan Mojopahit Boutique Hotel is your best bet. Its location is excellent for visiting Trowulan, but is rather out-of-the-way for visiting any place else. 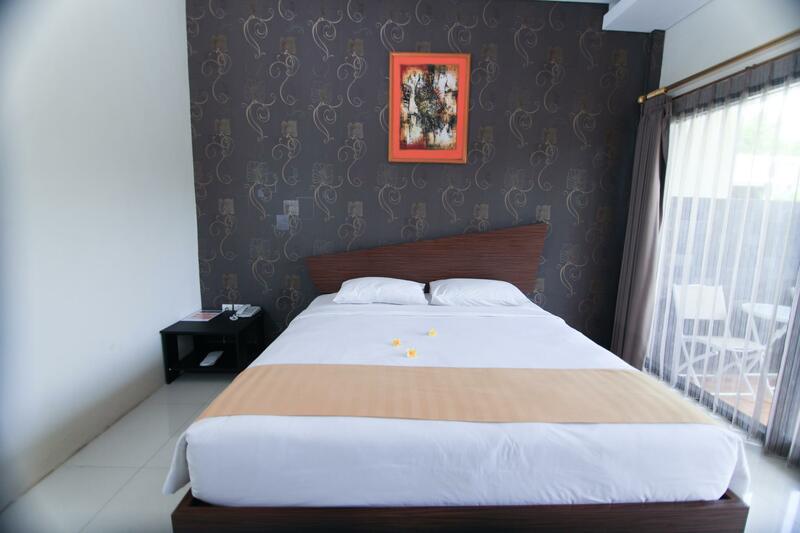 The hotel is only a two or three miles away from the Trowulan museum, around which the temples and tombs are scattered. You will need a car or bicycle to reach all of them. If the sky is clear (there was a lot of dust and smoke in the air when I visited in late August), you will have an awesome view of the nearby mountains from the front of the hotel, as well as from a number of the tombs and temples. Although the hotel restaurant is very modest in appearance, the food was excellent, both at breakfast and at dinner. (I hope the hotel management appreciates this chef!) Also, there is a large pool at the back of the hotel grounds which is fine for swimming laps. We emailed the hotel beforehand asking for a transfer and they did not even reply. We ended up hiring two motorbike drivers as hotel was not able to communicate with us effectively. Their level of English is very poor, only one member of staff could be of help. The food selection was very very poor. Not a hotel you really want to stay over, we managed to arrange a mini tour around the area to see some sights off the beaten track. Staff were probably aware of the location issue and offered the tour for free as a sign of goodwill. It is a hotel advertising itself as a boutique hotel... It is not! It's a bypass hotel misleading tourists. The hotel is clean with friendly staff. There is a large pool area for relaxation. The hotel is close to many historic temples and other sites. It's also worth driving an hour to see Tretes & Trawas. We had a nice stay. The hotel is next to a busy road, but we didn't hear any noise from the highway. There was a restaurant there and room service was provided. The food was pretty good. The hotel grounds are not that nice... mostly concrete. But the rooms were clean and the A/C worked well. TV was mostly local channels which was ok for us since we were tired at the end of a day a seeing temples. There weren't a lot of people staying at the hotel, so it was quiet and the service was timely. If you're looking for a slightly above average hotel for a home base while you see the surrounding sites, this place will do just fine. minus = lingkungannya kurang terawat sehingga tidak sebagus gambar yg di agoda. kolam waterboom nya tdk bisa terpakai. menu sarapan nya g ada lauknya...itupun sy kehabisan dan harus menunggu isi ulang yg lgsg hbs diserbu tamu2 yg blm kebagian juga. plus nya = dpt freepass ke pub nya. ac kamar nya(superior) duingin bgt. kebersihan kamar juga oke. Makan pagi kurang variasi,staf kurang ramah.